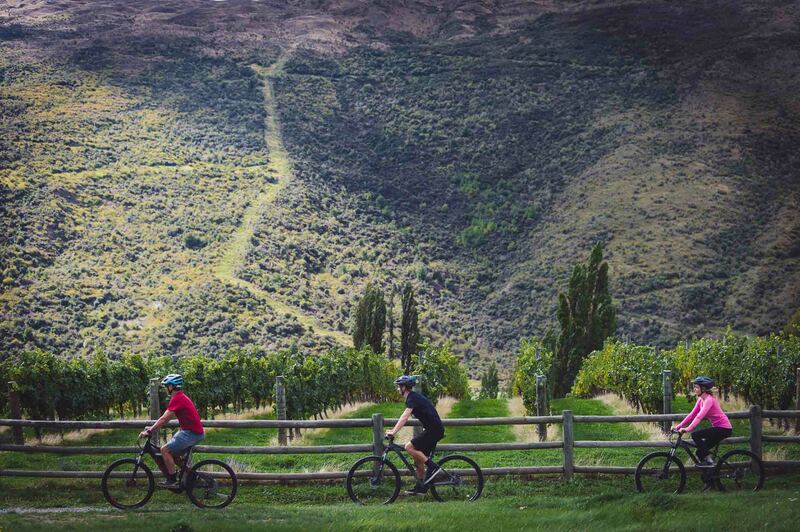 • Minimal riding and maximum winery time. 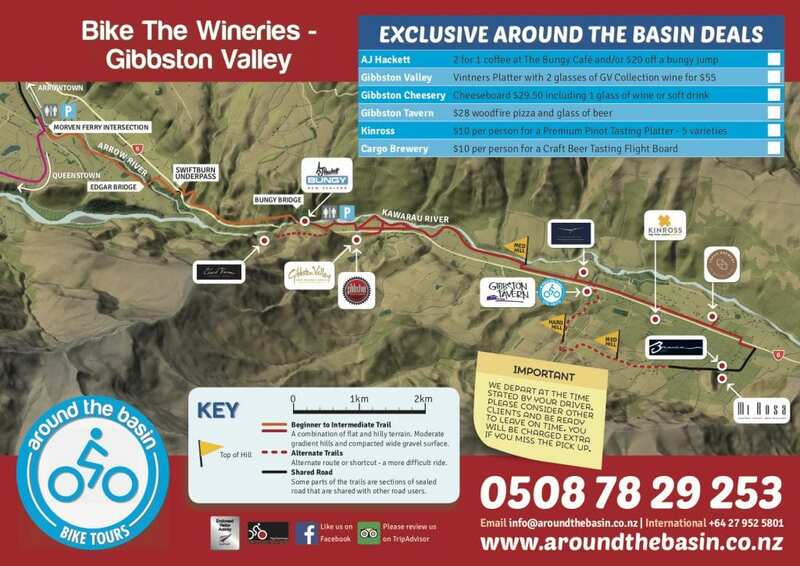 • We will pick up the wine you buy. 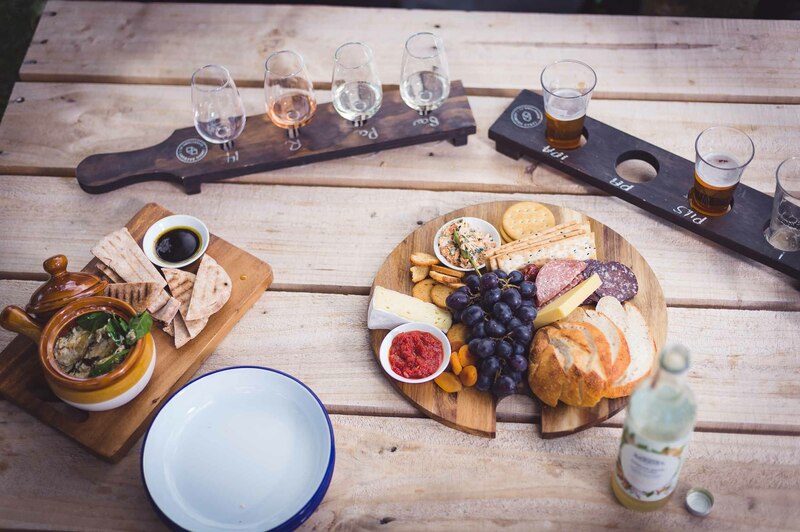 • Taste as many wines as you like. 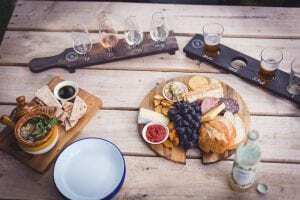 We’re driving. 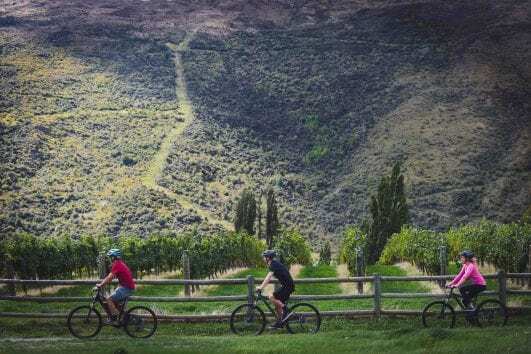 • We’ll pick you up from your winery of choice. 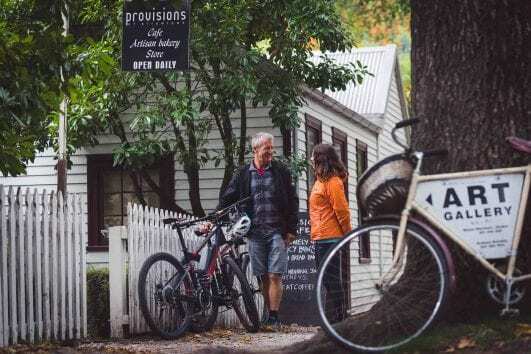 • We’ll get you sorted with everything before you ride. 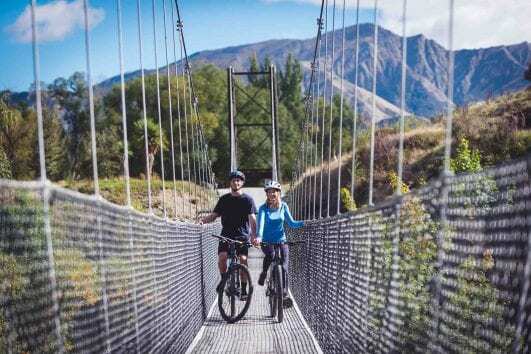 This Half Day Self-Guided Tour begins with an afternoon pick up from our shop at 9 Duke Street in central Queenstown and a scenic transfer to the Kawarau Suspension Bridge, the home of bungy and the beginning of the Gibbston Wine Valley. 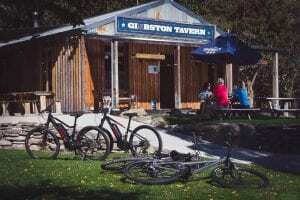 After bike fitting, helpful winery and trail information from your knowledgeable driver, you’re free to set off riding the Gibbston River Trail at your leisure using our informative trail map with exclusive offers to visit as many of the amazing wineries, a cheesery and brewery linked throughout this section of easy riding trail. We will pick you up from the Gibbston Tavern (or another pre-arranged point in the valley) for your relaxing vehicle transfer back to Queenstown. 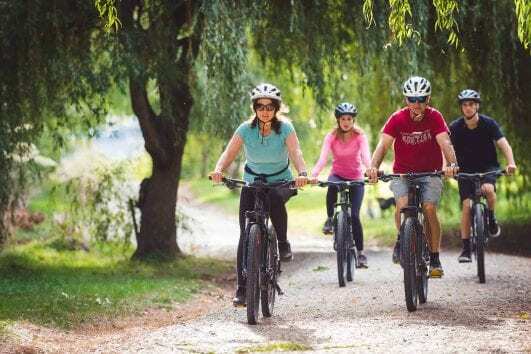 Total biking distance is 5-12 kms depending on how many wineries you wish to visit. 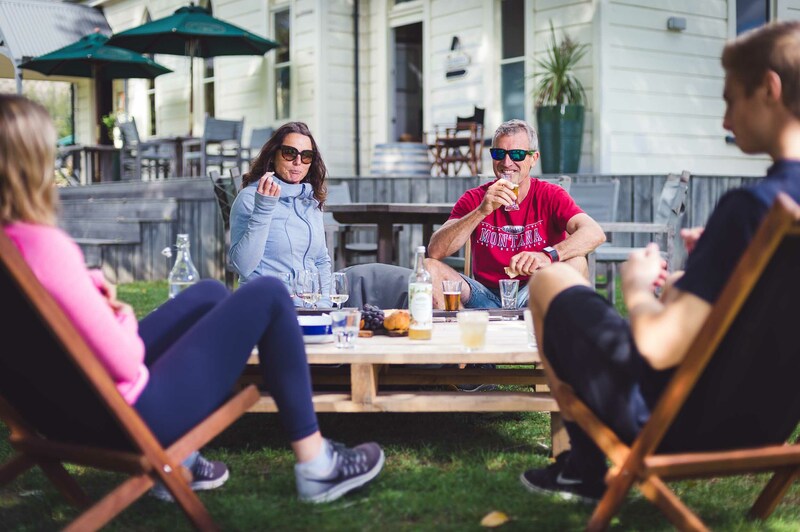 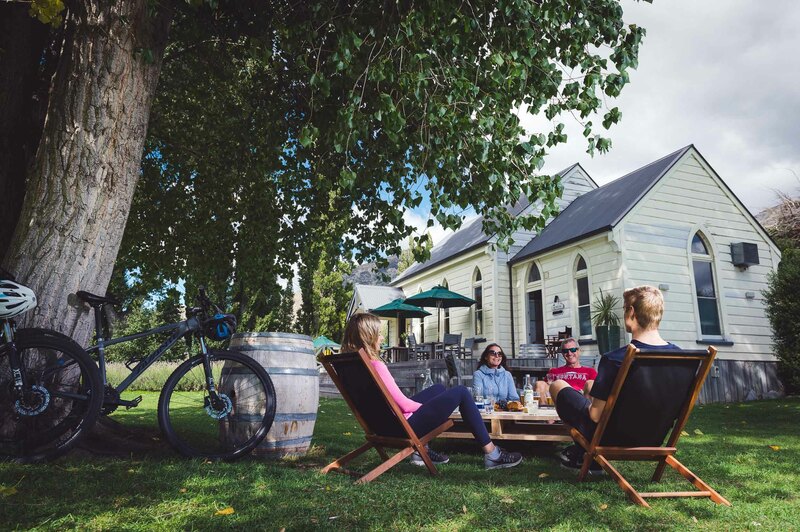 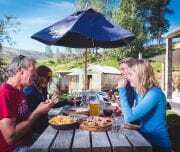 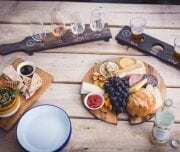 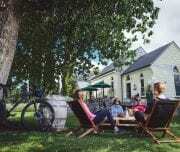 Our Half Day Bike The Wineries Tour is recommended for those on a tighter time schedule who can’t afford the luxury of doing our full day winery tour while in Queenstown. Shuttle with us from Queenstown out to the Karawau Bungy Bridge, located at the entrance of the Gibbston Valley Wine Region and the first Bungy jump in the world. 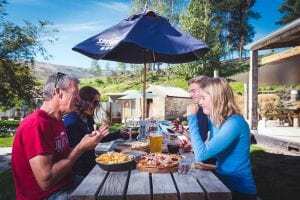 Upon arriving at the Bungy Bridge your driver will provide you with a detailed briefing covering bike safety, pick up details and information about the wineries. 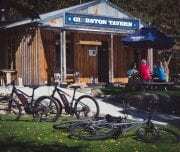 Shuttle service to Arrowtown, 15km ride with support vehicle, wine tasting and shuttle back to Queenstown. 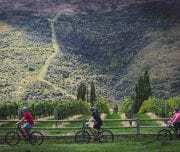 Shuttle service to Kawarau Bungy, 15km ride with support vehicle, wine or beer to finish and shuttle back to Queenstown. 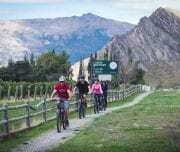 See the best of the Queenstown Trail on this all inclusive Full Day Mountain Bike Tour. 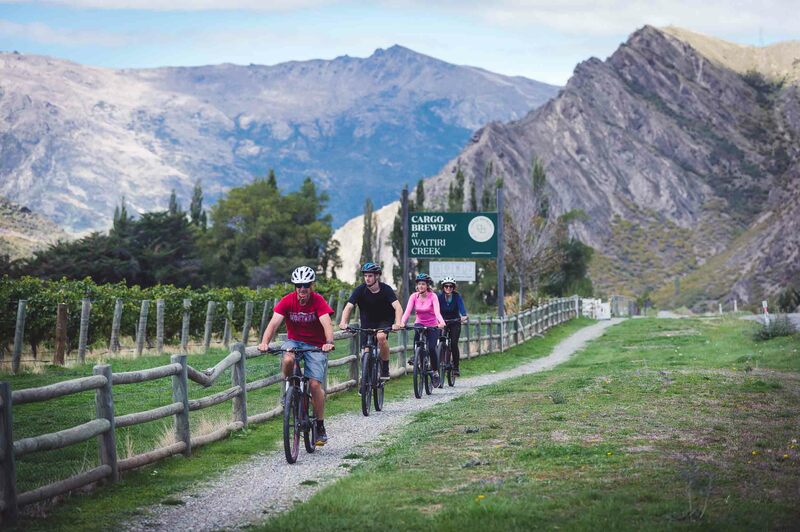 E-bikes, driver assistance, lunch included, historic Arrowtown, wine tasting… The Ultimate day on the trails.